Since October 1st, information about OSHA citations for two companies with three combined fatal falls earlier this year were published* online. Both cases involved technicians who died while carrying out their work duties. Both companies were fined heavily because the employees deaths were found by OSHA to be preventable. Certified Crane Care is here to help you with your overhead crane and hoist safety. Our expertise includes Fall Protection training, inspections, repairs, modifications and modernization to help your company meet and exceed your safe operation needs. We know the importance of having a zero-injury workplace, whatever it takes. Three simple things you do with your time can be the key to saving a life. Make time to know and utilize the safety measures put in place by OSHA as well as the manufacturer's requirements for safe operation of any and all equipment being used. Make time to prepare for proper installation and safety guidelines to be followed when scheduling the time for the project. Adding additional time estimates to prepare the site and execute safety precautions and guidelines may save hundreds of thousands of dollars, your company's reputation and most important a life. Preparing to utilize all of the safety guidelines and regulations is only part of an effective plan for committing to being a zero-injury workplace. Each site manager, technician and operator needs to be on board with taking the time to read through manuals, understand how to implement the instructions and when to ask for assistance from industry experts and manufacturers to operate machinery and safety systems. 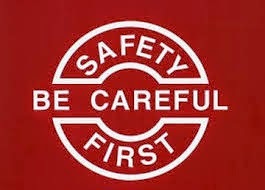 Bypassing enacting the safety procedures outlined when preparing for a job may result in more than "cutting corners." Carving out time to be able to make safety a priority as part of your company's culture is shaped on every level of the organization. Corporations, contractors, subcontractors and temporary workers share the opportunity of making work site safety an industry expectation one project at a time. Each person's decision to make and take time to adhere to safety regulations and standards shapes the environment to be a zero-injury workplace. America's construction season is slowing down to a crawl and for some regions has ended. Plans for Halloween parties, trick-or-treating traditions, autumn extravaganzas and fall festivals are in full swing. In every industry companies are completing the final quarter of 2014 and beginning to plan for 2015. This is a perfect time to review our commitment to safe work practices. As we enjoy each colorful leaf turn and prepare for the holiday season and new year, let's plan for making safety a greater priority.